Some residents of Cocoa Beach may think bankruptcy is out of the question. Surrendering, only to be done when all other alternatives have failed and no other choice is left. The truth is that bankruptcy can breathe new life into a dying business or give a family a second chance to thrive, but if you wait too long, it may be too late to save your business, or you may have already lost assets you could have saved. If you are considering bankruptcy, it may be time to contact a Cocoa Beach Bankruptcy Attorney. While residents of Cocoa Beach may feel conflicted about discharging their debts, the truth is that more creditors recover more money when an insolvent debtor files bankruptcy than when they do not. That is because your non-exempt assets (property you cannot keep, as opposed to the property you can keep) get divided fairly among the creditors, instead of going to whoever gets judgment first. However, most people who file for bankruptcy relief have no non-exempt assets (meaning they keep everything). if you are facing foreclosure, it may be time to talk to a Cocoa Beach Bankruptcy Attorney. The exemptions in Florida are under Florida law, not bankruptcy law, which means even if you do not file bankruptcy, your creditors cannot take your exempt assets. In essence, bankruptcy stops your creditors from wasting money paying debt collectors to harass you and lawyers to get judgments against you, only to discover you were telling the truth, you really cannot afford to make a payment. If you have been harassed by a debt collector, it may be time to talk to an attorney at Faro & Crowder, PA.
Our Foreclosure Defense and Bankruptcy Attorneys serve the residents of Brevard County and Cocoa Beach, Florida. Our office offers free initial consultations for Bankruptcy and Foreclosure Defense. Call today to schedule your consultation or fill out the contact form below. No one sets out to accumulate $8000 in credit card debt but a sudden illness, loss of job, or financial emergency can quickly deplete a savings account and force people to change normal living expenses. Regardless of whether the debt was not your blame, the bills are still due and something must be done. If paying bills is not an alternative, Chapter 7 Bankruptcy may be the answer. In just a few short months, a Chapter 7 Bankruptcy can wipe out most unsecured debts. This debt includes credit cards and medical bills. Read more about Chapter 7 Bankruptcy. If you would like to schedule a free chapter 7 bankruptcy consultation with an attorney at Faro & Crowder, PA, contact us. If you are facing home foreclosure, Chapter 13 bankruptcy may help save your home. In Chapter 13 bankruptcy, a debtor and their attorney create a payment plan of three to five years. The plan is based around your budget after looking at your income, taxes and expenses. The length of the plan allows a debtor to catch up on the arrearage of their home. 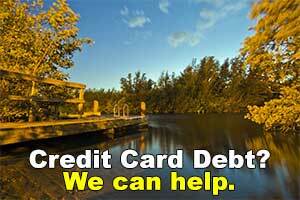 The payment plans also allows you to get caught up with your creditors. This could include credit card, medical and other debt. A debtor in Chapter 13 bankruptcy will make payments to a trustee who will then distribute funds to the creditors. Read more about Chapter 13 Bankruptcy. For a free initial Chapter 13 bankruptcy consult, contact Brevard County Attorneys Faro & Crowder, PA.